MMA Ratings: UFC Fight Night 125: Will The Dragon Sleep Or Awaken? UFC Fight Night 125: Will The Dragon Sleep Or Awaken? 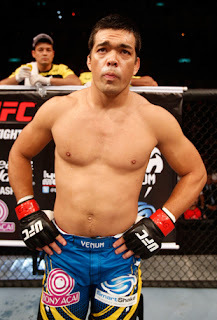 Lyoto Machida was once one of the most feared MMA fighters on the planet, but the former UFC Light Heavyweight Champion has fallen on hard times, as he's currently on a three-fight losing streak and he hasn't won a fight since 2014. And while you have to keep in mind that his most recent losses have come to elite talent in the form of Luke Rockhold, Yoel Romero, and Derek Brunson, the fact remains that "The Dragon" has gone to sleep in his last three fights, two times by knockout and one time by choke. For a fighter who was known as one of the most durable in the UFC for years, Machida's sudden lack of durability is concerning and surprising. After only getting finished twice in his first 27 MMA fights, to legends in Jon Jones and Mauricio "Shogun" Rua, Machida being finished in three straight fights is a shocking downturn. Now 39 years of age, it's doubtful Machida's chin or submission defense will get any better, particularly after his recent USADA suspension. And the fact that he was knocked out by Brunson just a few months ago in October is especially concerning, as a recent knockout loss makes any fighter more susceptible to another one. 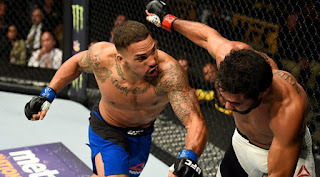 So the question must be asked: will "The Dragon" go to sleep once again, or will he finally awaken when he takes on emerging prospect Eryk Anders in the main event of UFC Fight Night 125? It's a really tough fight to call, and interesting matchmaking by the UFC, who is giving Anders the fight he asked for, one that is a massive step up in competition from his previous UFC fights, while at the same time giving Machida a fight he didn't necessarily want, as he could use the rest after getting knocked out in brutal fashion by Brunson. For Anders, the former college football player is undefeated in his MMA career, and has gone 2-0 in impressive fashion in the UFC. He called his shot and asked for Machida in Brazil, and the UFC obliged. But while Anders has looked impressive to be sure, Machida is still no doubt a massive step up in competition over the likes of Markus Perez and Rafael Natal. Though it's true Machida has lost three in a row, this is still a former UFC champion we are talking about, and prior to his losing skid, he picked up impressive wins over CB Dollaway, Mark Munoz and Gegard Mousasi, and he looked decent in his loss to Chris Weidman as well. But a failed drug test and three losses in a row have quickly made Machida a non-factor at 185. He still has a name, but he hasn't been successful lately. That's why Anders called him out, to take advantage of an opportunity to beat a legend. And the odds see the fight the same way, with Machida a big underdog in this fight. Having said that, how can you completely write off Machida? As poor as he's looked in recent years, he's only lost to really good fighters, and Anders is a guy who is still a big unknown. As much as it makes sense to go with Anders in the fight as the younger and faster fighter, at the same time, you can't completely ignore Machida's massive edge in experience and striking acumen. So it's a very intriguing matchup from a pure matchmaking standpoint. This is an important fight for both fighters. For Anders, it's the chance to show the UFC that he's a serious contender, as a win over Machida should earn him a top-ranked opponent for his next fight. But even if he loses, he can rebuild his stock and make another run since he's still only 30. The same does not go for Machida, who at age 39 is nearing the end. If he loses, particularly if it's by knockout, the calls for him to retire will be loud. A win, though, especially one in impressive fashion, and fans may think he's back. It's the most important fight for Machida in a long time, and it will be interesting to see if he steps up his game as he fights on home soil in Brazil. Because if he lays another egg, that could be the end of "The Dragon." Whether the legend shall sleep or awaken will be decided Saturday night at UFC Fight Night 125.